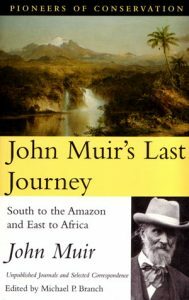 John Muir’s last journey: south to the Amazon and east to Africa. 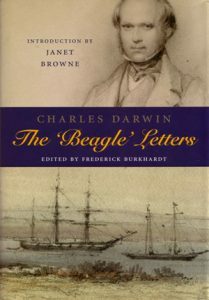 Unpublished journals and selected correspondence. Leaving from Brooklyn, New York, in August 1911, the great naturalist and environmentalist John Muir embarked on an eight-month, 40,000-mile solo voyage to South America and Africa. He was then 73. His journals and notes languished, unpublished and virtually untouched, for 90 years. With introductions by Michael P. Branch that set Muir’s extraordinary trip in the context of his life and work, and a foreword by nature writer Robert Michael Pyle, this book is a significant addition to Muir’s legacy.